The daughter of a famous actress, Laure Baer is used to being almost invisible in her mother’s shadow. She decides to sign up for the French Navy, much to her mother’s displeasure. Armed with several diplomas but a frail body, the 23-year-old is given a position as secretary to Commander Rivière, the Director of Studies at the Naval Academy. With Rivière’s support, she begins taking part in physical training programs and is eventually accepted into the Navy. 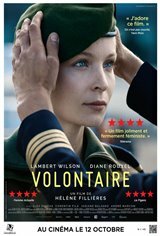 Laure surprises Rivière when she announces that she wants to enroll in the Green Beret training camp, which is not only very physically demanding, but has always only accepted men.